For those of you who want to root your Nexus 6, remember that in order to root a Nexus device, you will have to unlock the bootloader first. Unlocking your bootloader WILL ERASE EVERYTHING on your phone so we highly recommend you to root your Nexus 6 as soon as you receive it in the mail. Also, copy EVERYTHING (all your photos/videos) to your computer so you don’t lose them. 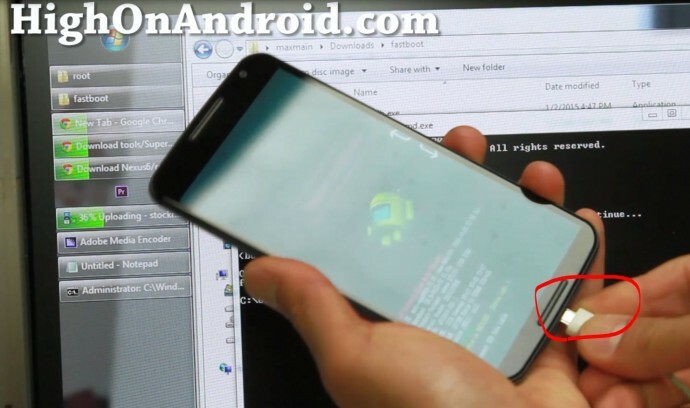 This root method works on all Android 5.0, 5.0.1, 5.0.2, and 5.1 Lollipop. With that said, let’s root Nexus 6. 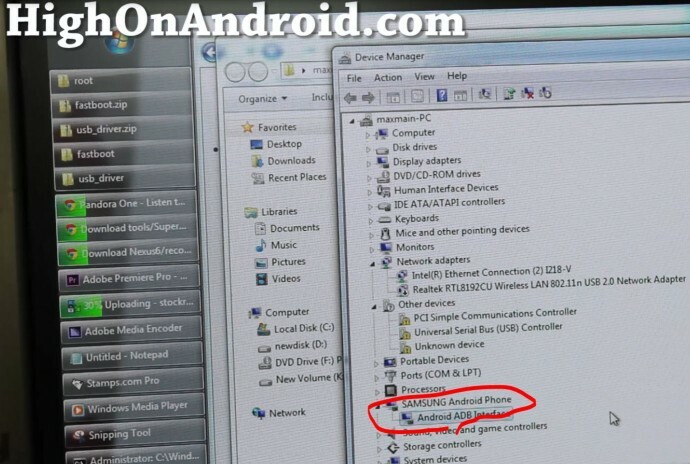 This method will work on all Windows, Mac or Linux. I will be using Windows for the tutorial but you can follow my Mac/Linux commands instead of Windows for terminal. Step 1. 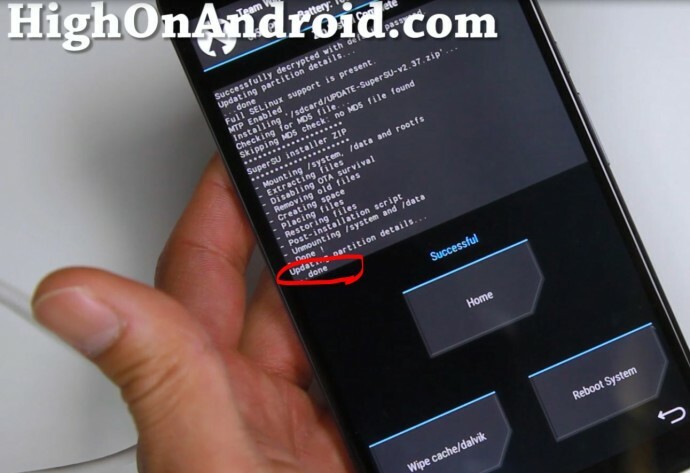 Power off your Nexus 6 then hold down Volume Down and Power buttons together until you see the fastboot menu come up like below (sorry please ignore the thumb part, bad screenshot). Then connect a micro-USB cable from your Nexus 6 to your computer. Step 2. 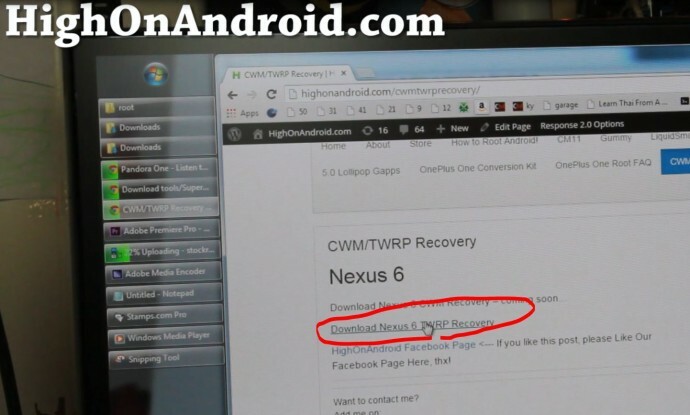 Go to our CWM/TWRP recovery page and download Nexus 6 CWM or TWRP recovery (it’s up to you to decide which one to use). Step 3. 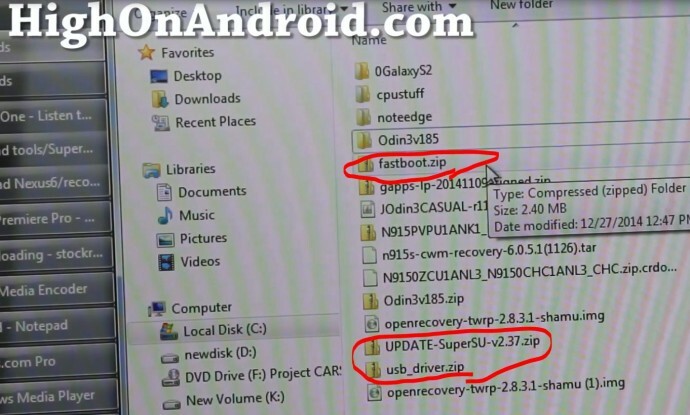 Also download fastboot.zip, SuperSU zip file, and USB drivers (for Windows only). Step 4. Unzip fastboot.zip and you should get a folder called “fastboot” with all the files you need. 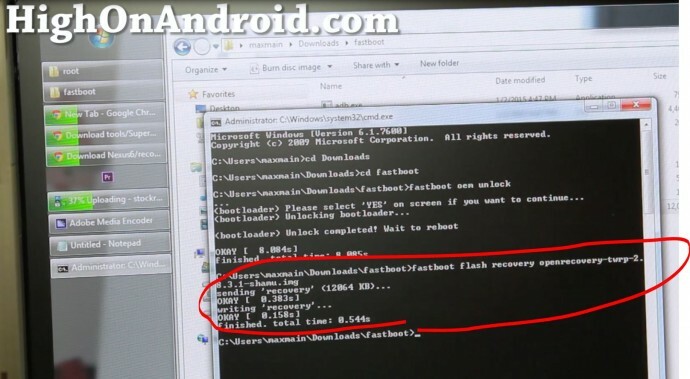 Copy and paste your CWM or TWRP recovery image file here (the file ending in “.img”). 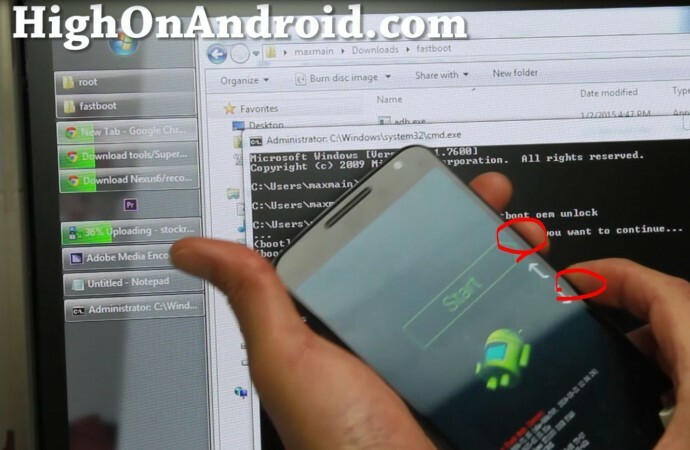 *WARNING – In this step we unlock the bootloader, doing this will ERASE EVERYTHING on your phone!!! Step 7. 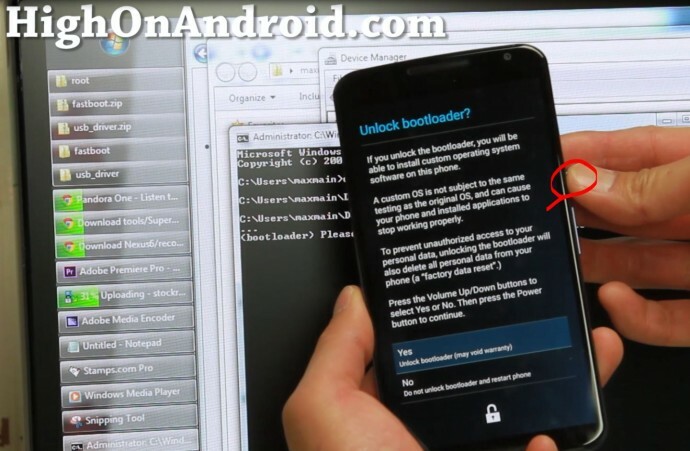 Hit the Power button to unlock the bootloader then your phone will automatically reboot. Step 8. Once rebooted, sign in. Step 9. 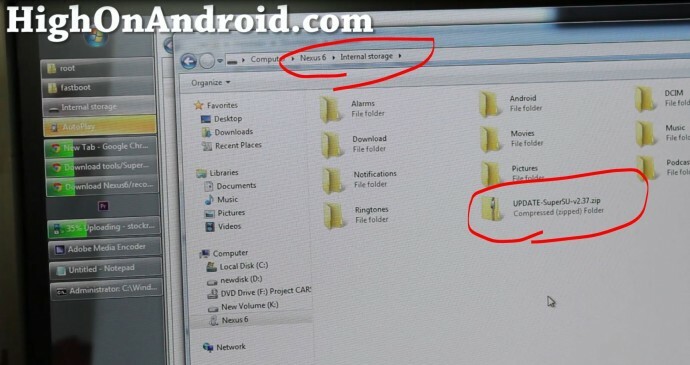 Copy the SuperSU zip file you downloaded earlier to your Nexus 6 storage. Step 10. 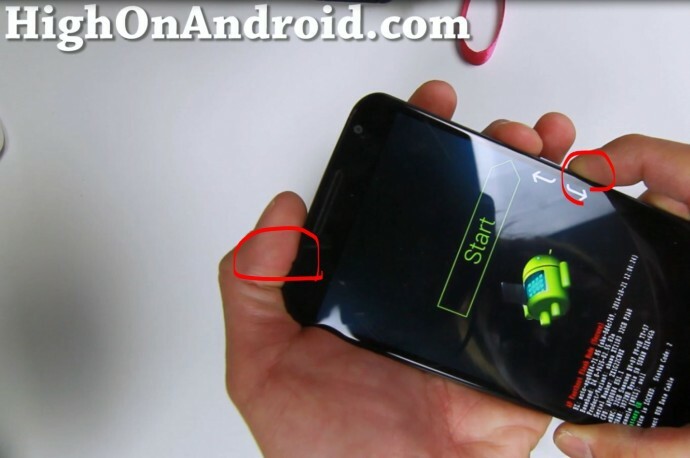 Power off your Nexus 6 then hold down Volume Down and Power buttons together until you see the bootloader menu. Connect a micro-USB cable from your Nexus 6 to your computer. 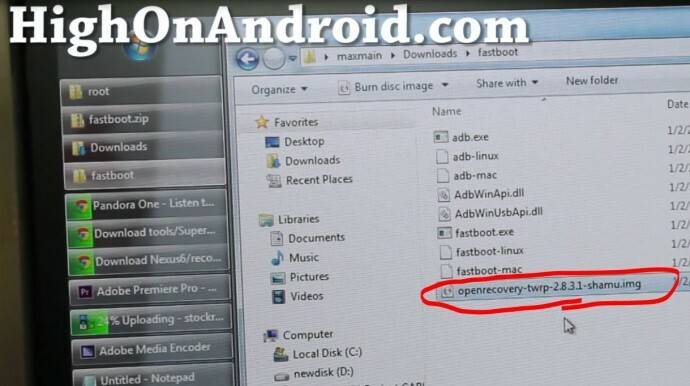 Make sure to replace PUTYOURRECOVERYNAMEHERE.img with the CWM or TWRP recovery image file you downloaded earlier. Step 12. 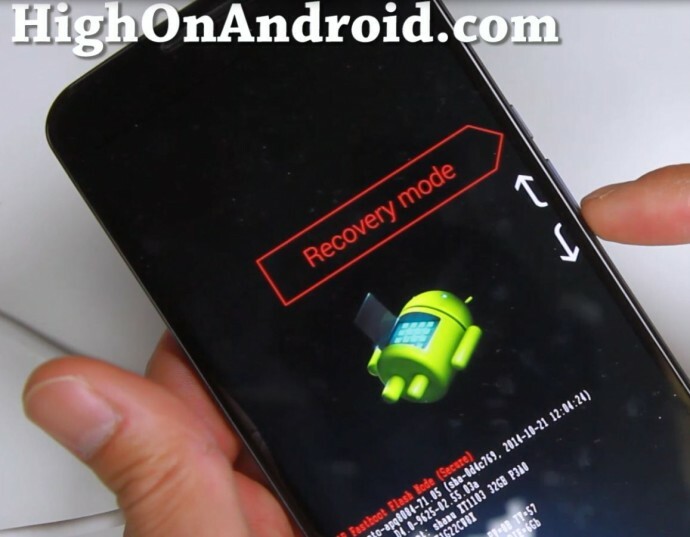 Go back to your phone and choose “Recovery mode” with the Volume buttons then hit the Power button to enter your newly installed CWM or TWRP recovery. Step 13. Choose “Install” or “install from sdcard”. Step 14. Browser your storage and find the SuperSU zip file and install it. Step 15. 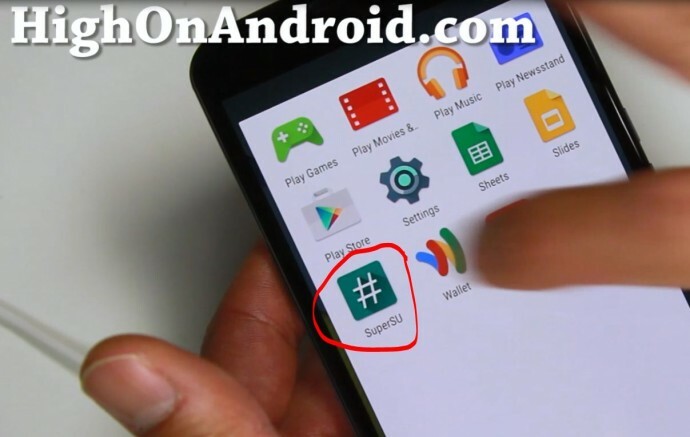 Reboot and you will find SuperSU app in your app drawer. Open up SuperSU and if it asks you to update binaries, choose “Continue” then “Normal”. Step 16. 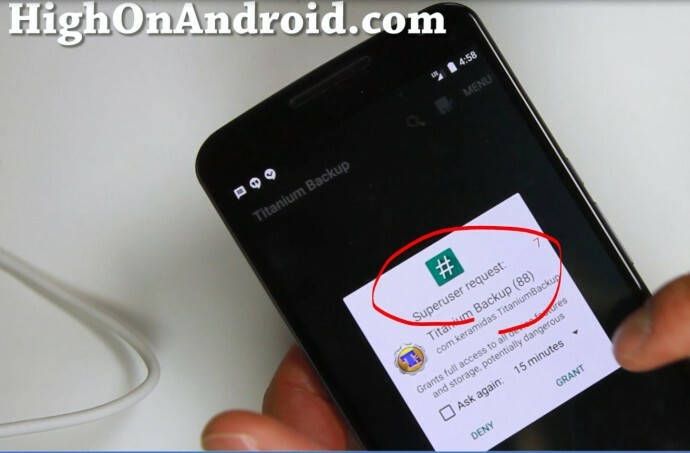 To verify you have full root, download and run any rooted app like Titanium Backup app. You should see a Superuser request window pop up. If you see this, congrats! 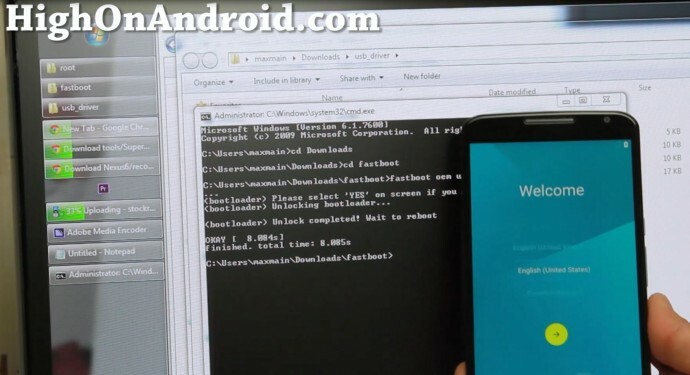 You have successfully rooted your Nexus 6! You will most likely not recieve ota updates anymore. You will have to do everything manually. If by any chance you do an update may break your phone after it is rooted. Also you will most likely void your warranty. # Enable developer mode, press about a few times. Enable USB debugging. A simple “sudo apt-get install lib32stdc++6” solved my issue. thank you for this. i went though everything, but, even though i have twrp now, i’m not really unrooted. the part i couldn’t seem to do was the chmod command. i typed in to my terminal chmod 755* but it gave me an error like the command parameters weren’t correct. i must be missing something. can you help me? Hey, I have a windows computer and have all the drivers installed. When I type in “fastboot oem unlock” it just says in command prompt “waiting for devices.” Nothing happens at all, what should I do? Sooo frustrated! Trying to install the .img file (TWRP) but my macbook pro does not recognize the .img???? I have all the SDK’s and my phone is already unlocked just need to root. Please help! Oops! I forgot to add…. I have a Nexus 6 with the UPDATE-SuperSU-v2.46 copied on my device. Can someone please help I followed all the steps up until the recovery stage where one must use their pone to select the flashed superuser files. As I bought my nexus unlocked it was already eligible to root however when inserting the final code more results were revealed. The command prompt stated as shown below and was very frustrating, was just wondering if anyone knew a way around this. Does this method work for 5.1.1 as well? Would it work on Android 6.0.1? Next story Best of CES 2015 Interview w/ Tim Schofield from QBKing77! Previous story How to Spot Fake Galaxy Note 4!